Often, a determination needs to be made, in the initial stages, regarding whether it is appropriate to pursue an appeal. This involves review of the underlying motion and the Court’s Decision and Order. There are also instances where the timing of a determination from the Trial Court results in the necessity of an application to the Appellate Court for a stay of the underlying proceeding. Many of the Appellate Division Courts require attendance at a Civil Appeals Management Program conference, which represents the Appellate Court’s opportunity to trim the issues on appeal and/or settle the matter before it becomes necessary to perfect the Appeal. Our approach to handling Appeals begins with an immediate evaluation and report to the carrier of the merits of an Appeal. 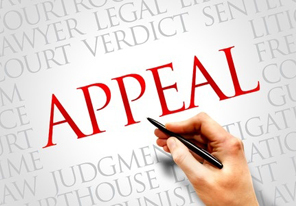 Once the determination is made to pursue an Appeal, the firm’s superlative legal writers take immediate action to secure the documents necessary for the Record on Appeal and to thoroughly research all Appellate issues. Our attention is then directed toward the production of an Appellate Brief to be filed with the Court and served upon all adverse parties. Our trial attorneys ordinarily request Appellate Argument before the Court. This gives the firm the opportunity to reinforce its arguments in front of the actual Judges that will decide the appeal. The entire process is geared toward making sure that the correct determination is made by the Appellate Court. This means either the affirmance of a determination in our favor, or the reversal of an error made by the Motion Court.